If your gardens are producing more than you can use, there is information available that can teach you how to preserve the bounty by canning, freezing or drying so you can enjoy the taste of summer in the middle of winter. Choosing the best method of preservation depends on the fruit or vegetable, the time you have to process it, and how you plan to use it in the future. Each has its pros and cons. Freezing is one of the simplest options. It is ideal for most fruits and vegetables, and doesn’t require special equipment other than freezer bags or containers. Its greatest drawback is the chance of losing the summer harvest if the power fails for an extended period. Canning your fruits and vegetables gives you an easy-to-use end product that is immune to power outages. 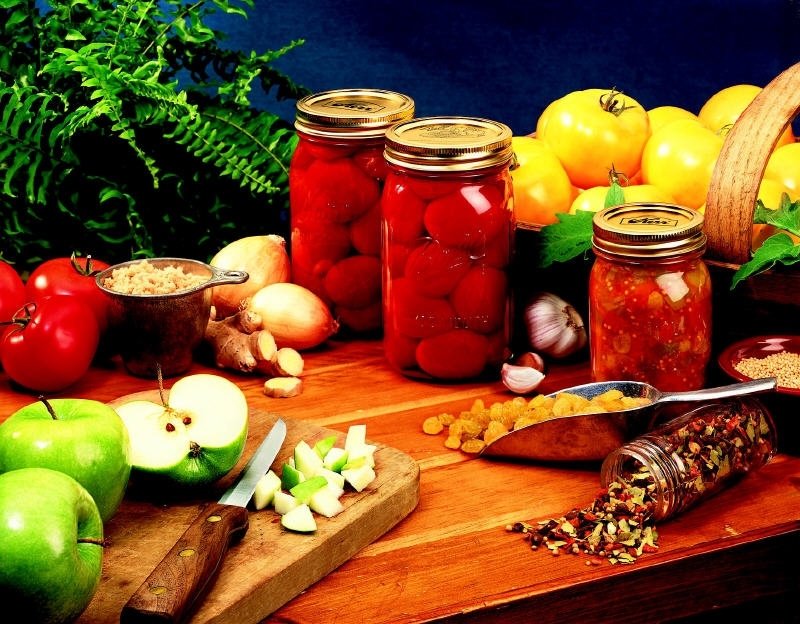 Additionally, home canning gives you greater latitude to control the ingredients in your food. It’s a tried-and-true method, as long as you have the time for the process. Drying food, vegetables or herbs can be as simple as hanging them, placing them on a screen, or utilizing a dehydrator. It’s a simple technique that takes hours, or sometimes days, to accomplish, but once finished, you have vegetables that hold up for a long period of time in the pantry. The good news is most foods lend themselves to a couple, or all three techniques. Here are a few of the most popular summer vegetables. Apples-There is nothing better than homemade applesauce, which you can freeze or can. You can also pre-make apple pie filling for the freezer or can in a quart jar. 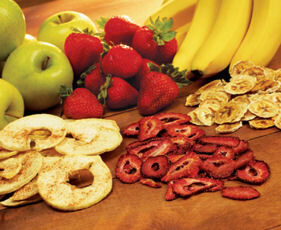 Dried apple slices can’t be beat for quick snack. Basil-Yes, you can enjoy basil in the winter. To freeze it, blitz it in the food processor with a little olive oil to create a paste. You can add garlic, if you so choose. Freeze in an ice tray, and then pop the frozen basil into freezer bags to store. It is simple to add a couple of cubes when you’re making sauces. Berries-If you have a bountiful crop of strawberries, raspberries, blueberries or blackberries, a natural result is a delicious batch of homemade jam or jelly. This can be either canned or frozen, depending on the recipe. 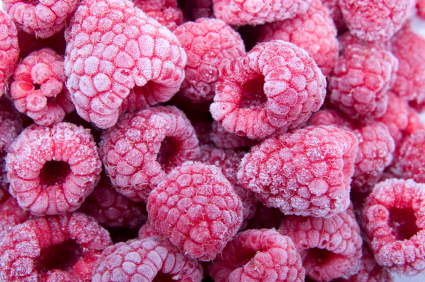 Freezing berries to use in smoothies and other recipes is simple and an effective way to keep the flavor at its peak. Pick off any debris and wash strawberries and blueberries. Don’t wash raspberries and blackberries. To keep each berry at its best, freeze them in a single layer on the cookie sheet or tray before placing in a freezer bag. You can also dry any berry you harvest for use in oatmeal, cookies and all sorts of delicious recipes. Or’ make your own fruit leather in the dehydrator. Beans-Can beans only if you use a pressure canner since their low acidity levels requires special care to be safe. Freezing is the easiest option. Wash the beans, trim off the ends and blanch in boiling water for three minutes. Cool in cold water, and then pack in freezer bags. Carrots-Like beans use a pressure canner to can carrots. An easier method is freezing. Wash, peel and chop the carrots. Blanch in boiling water for three minutes. Rinse in cold water and dab dry before placing in freezer bags. You can also dry carrots to use in winter soups. Wash, peel and chop before placing in a dehydrator for the required amount of time. Store in a jar. The carrots will readily rehydrate in soups and stews. Corn-There’s no doubt corn is best eaten fresh out of the garden, but it’s still a special treat in the winter. The tastiest method is freezing it. Husk, and then blanch the corn for three minutes. Plunge into cold water. Using an angel food pan. Hold the cob upright in the center and carefully cut off the kernels, and then fill the freezer bags. Peppers-Hot or sweet peppers can be frozen and used in cooking since they don’t stay crisp in the freezer. You don’t have to blanch peppers, but the best way to keep them near is to freeze them in a single layer on a metal tray or cookie sheet before placing them in a freezer bag or container. Tomatoes-Canned tomatoes, either whole, chopped or in a sauce, are perfect for quick meals. If you are supper busy when the tomatoes are coming on full force, you can freeze them by washing them and placing then whole in a freezer bag. Make sure to remember that frozen tomatoes can be added to dishes whole as they’re cooking, just pull off the skin with a fork as it cooks. Otherwise, you can blanch them for a couple of minutes in boiling water, and peel off the skins before freezing. Either way is fine. Dried tomatoes are also incredibly useful. Cut them 3/8” thick, and place them in the dehydrator for up to 24 hours (depending on the size of your tomatoes). You can blitz them through a food processor to add to sauces or utilize them in excellent recipes such as a dried tomato cream cheese spread. Zucchini-If you’re overwhelmed with zucchini in the summer, grate it and freeze it in freezer bags for winter baking. Measure out the amount you need for muffins or other baked goods so all you have to do is grab one bag and thaw it. I love to add bags also to all of my soups including chili. It gives my family additional vegetables they do not know they are getting!